Written and Media by Cassandra Rieke. When asking people about their thoughts on Christian music, I got a lot of people saying that they don’t listen to Christian music or they are not a big fan of Christian music. A lot of people brought up the point that “it all sounds the same” or “it is just not the style of music I like.” When you hear “Christian music” does K-LOVE pop into your mind? Yet, there is so much more than just K-LOVE, there is actually a lot of different genres within Christian music other then the songs played on the typical Christian radio station. I have made a list and included videos along with them to maybe help you discover new genres or artists that sing for the Kingdom of God. Now this is probably what you typically hear on a Sunday morning while you sing along in church to sing praises to God. A good example of this would be songs anywhere from Matt Redman to Chris Tomlin. This genre is more “soulful.” It is mainly known for its strong vocals and beautiful harmonies. Along with Gospel comes a lot of different subgenres within like urban, southern, and even contemporary gospel. 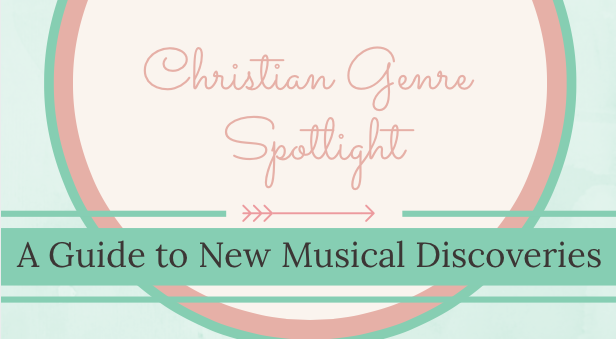 Some artist of this genre includes Kirk Franklin, Yolanda Adams, and Marvin Winans. This is what you hear mostly playing on K-LOVE. Christian pop tends to be very upbeat and catchy. When thinking about Christian music, this is what usually pops into peoples’ minds first. This tends to be the most well known of the other genres. Some well known artists that are a perfect example of this is Tenth Avenue North, Sanctus Real, and Francesca Battistelli. Metal is made of heavy breakdowns, intense vocals, and electric guitars. Christian metal worships God with the heavy aspect that some people tend to lean towards. Some great musicians to check out are As I Lay Dying, August Burns Red, and one of my favorites Sleeping Giant. This genre tends to be a personal favorite. Indie (Independent) music comes from small independent music labels that are not mainstream. The sound of Christian Indie tends to be acoustic and down to earth. Artist that are good examples of Christian Indie include Gungor, All Sons and Daughters, and The Rend Collective. 7. Last but certainly not least, this is not really a genre, but there is music that reflects religion and beliefs that may strike your fancy. I feel like this music is very important along side Christian music. I believe that it helps you look at Christianity and religion from a different angle. Also the songs tend to hit points that other Christian genres might not. This kind of music tends to use a lot of metaphors from the Bible, or even some of the musicians religious experiences and tribulations they have went through. Great examples of these types of artists would have to include Noah Gundersen, Sea Fever, and Tony Kevin Jr.